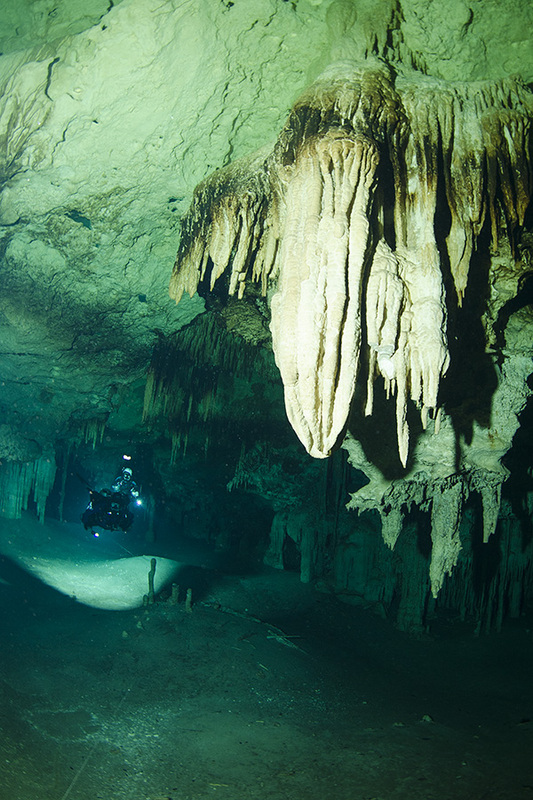 As of December 2014, this was my favorite cave in Mexico. 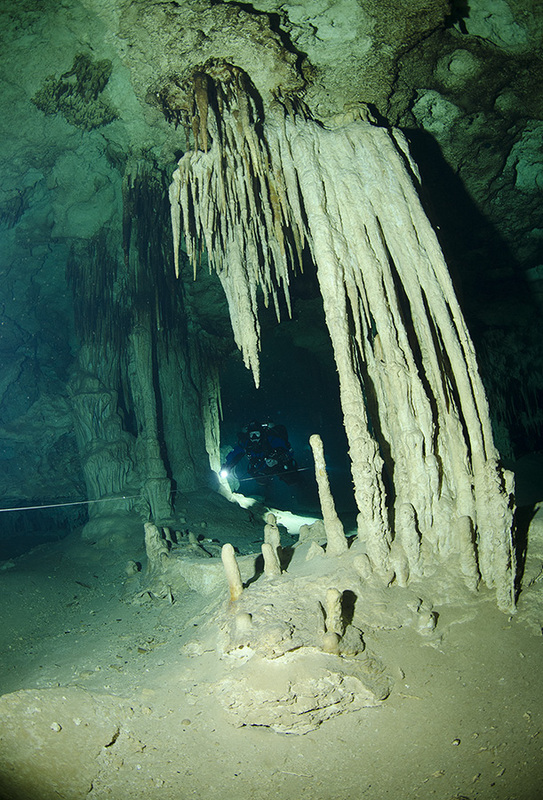 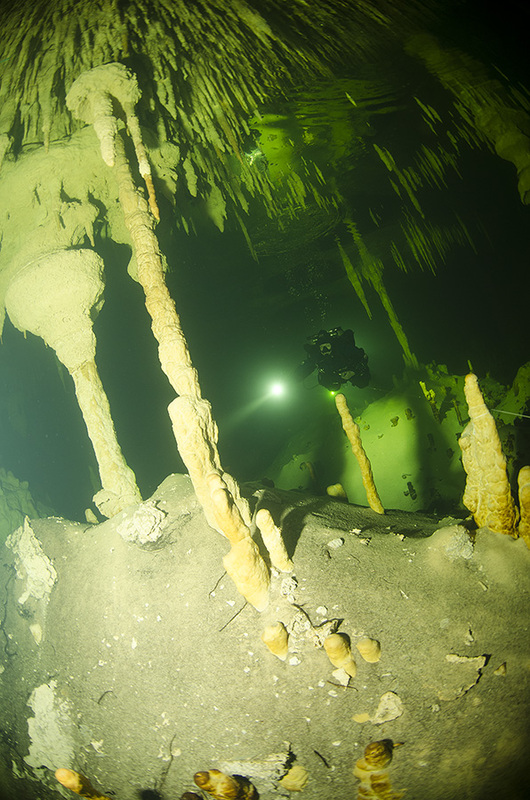 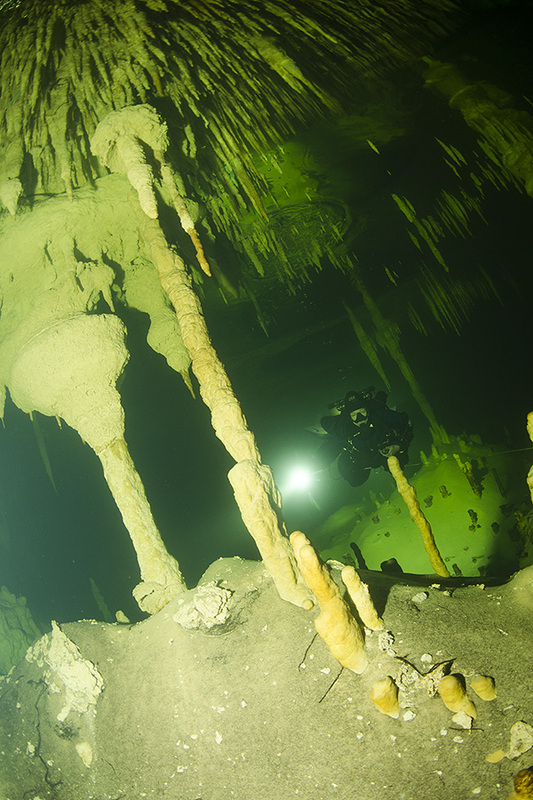 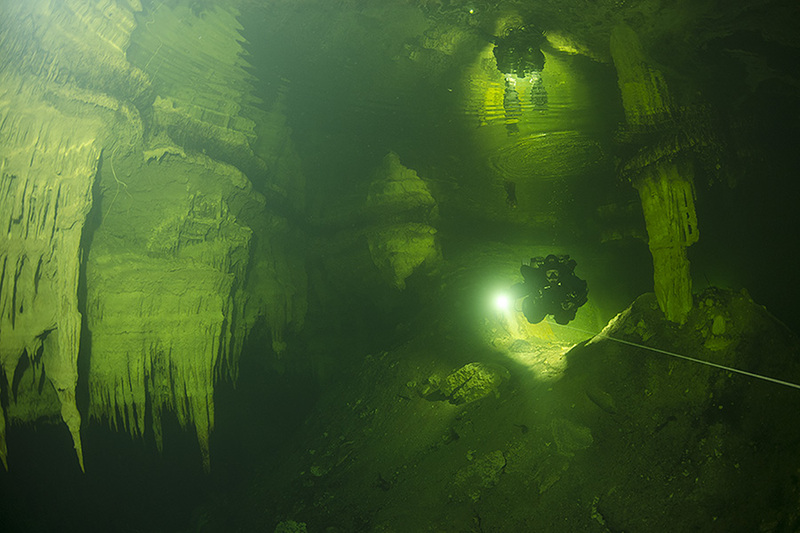 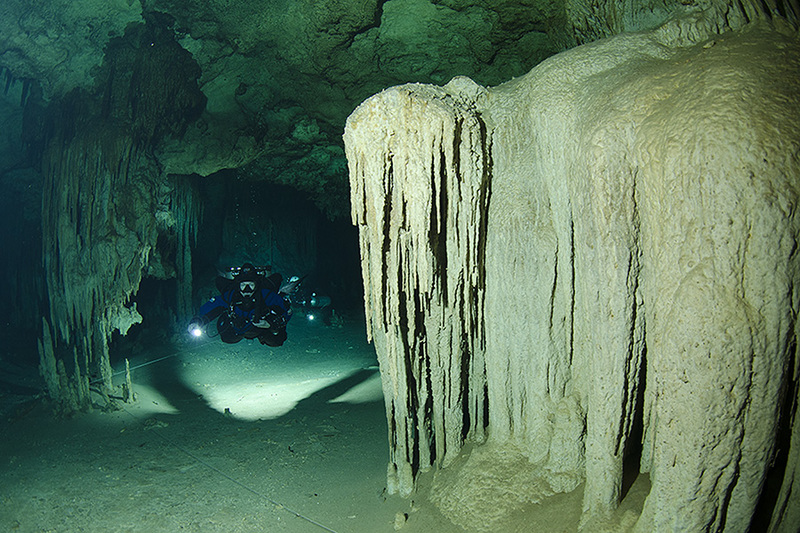 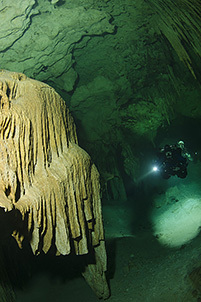 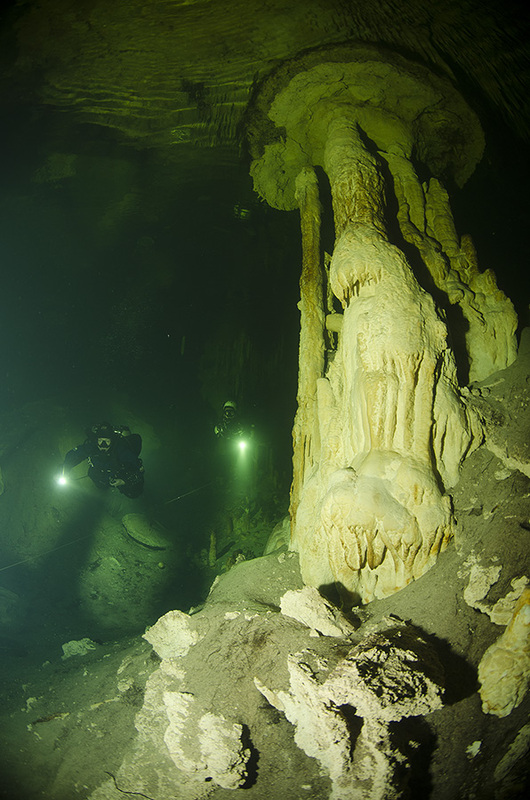 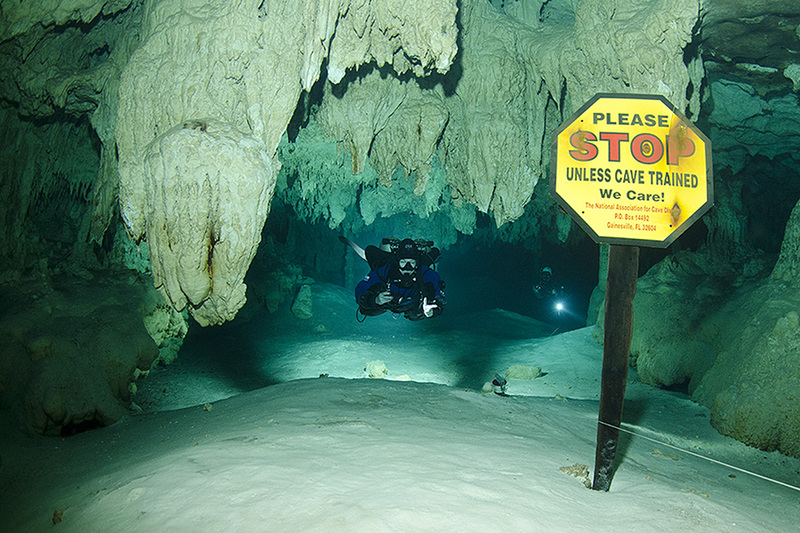 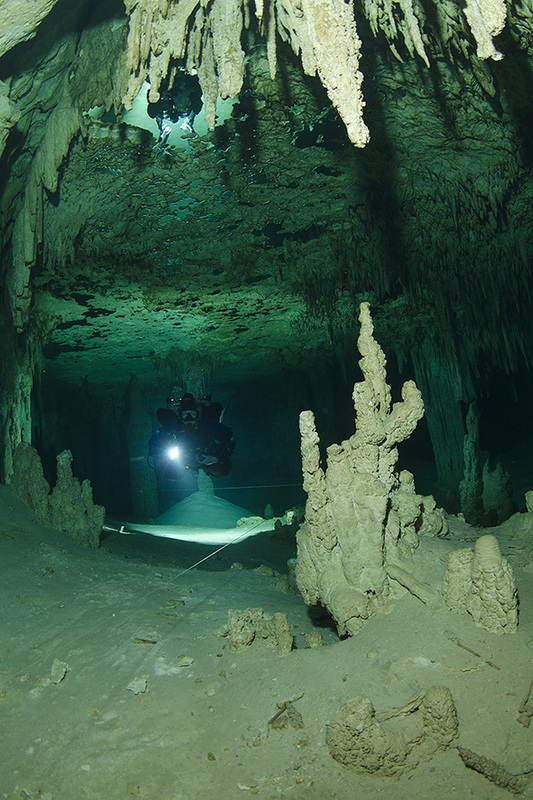 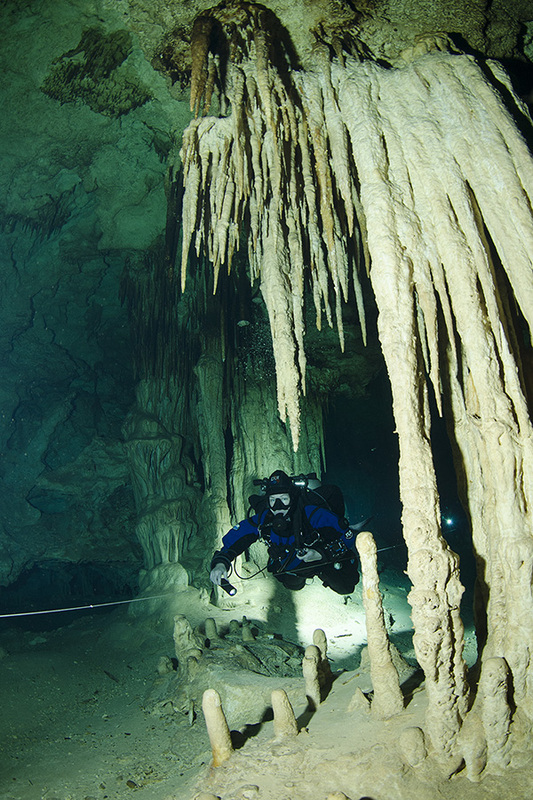 The max depth on our dives was 25ft with average about 20ft which allowed for longish dives on the upstream line. 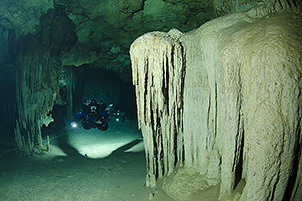 There were minor restrictions along the way quite manageable in either doubles or side mount. No halocline. 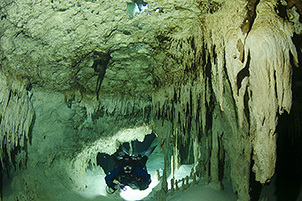 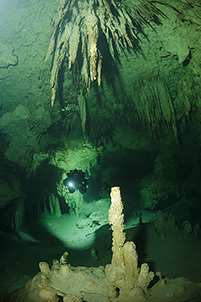 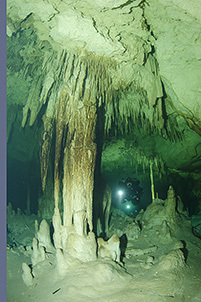 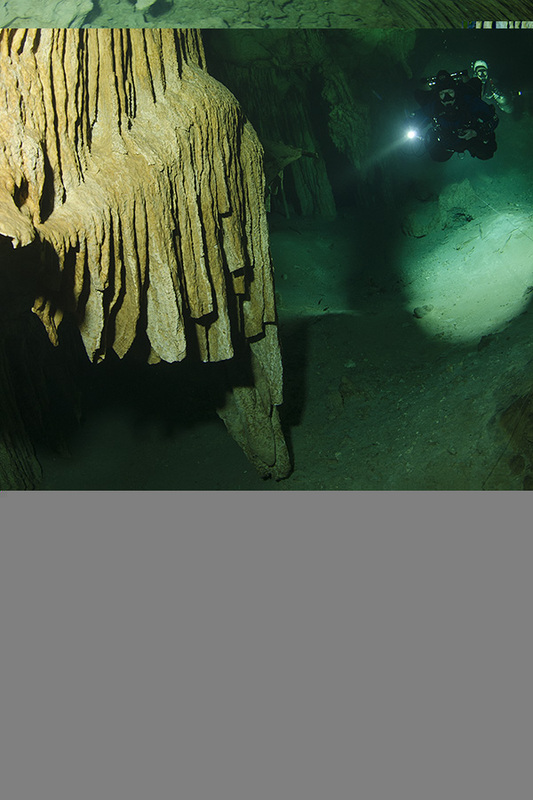 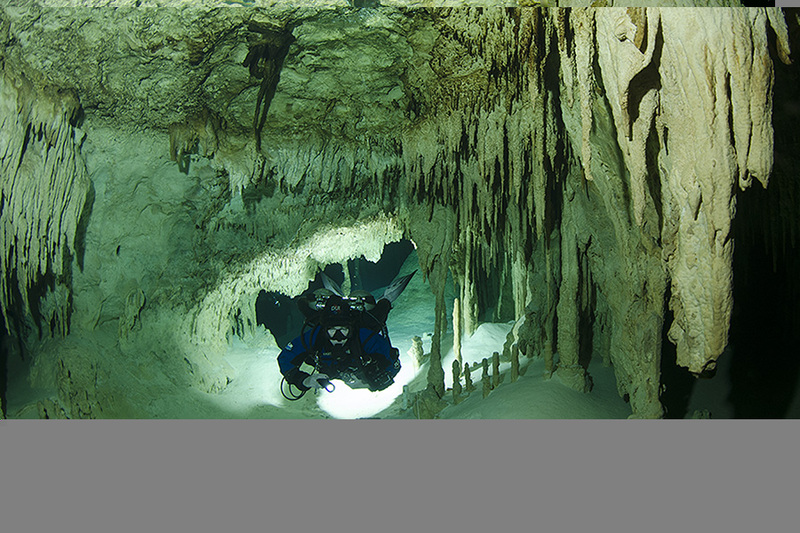 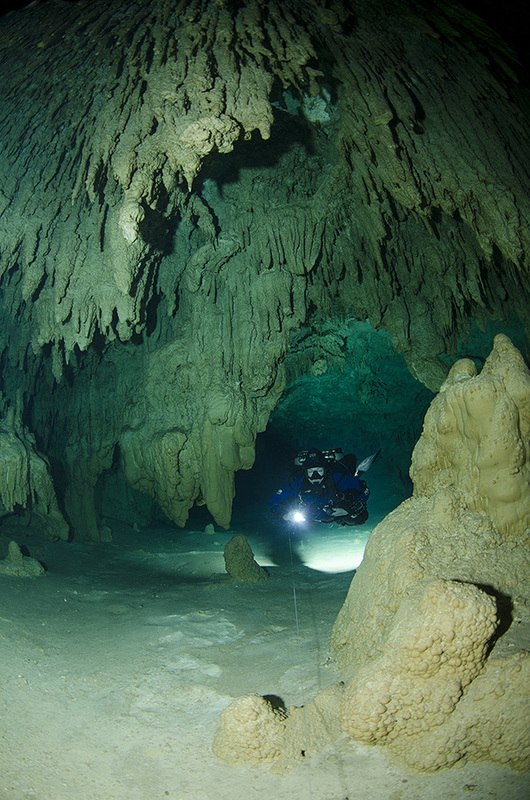 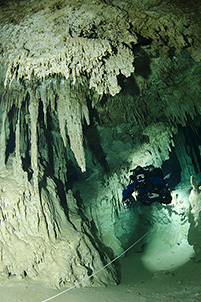 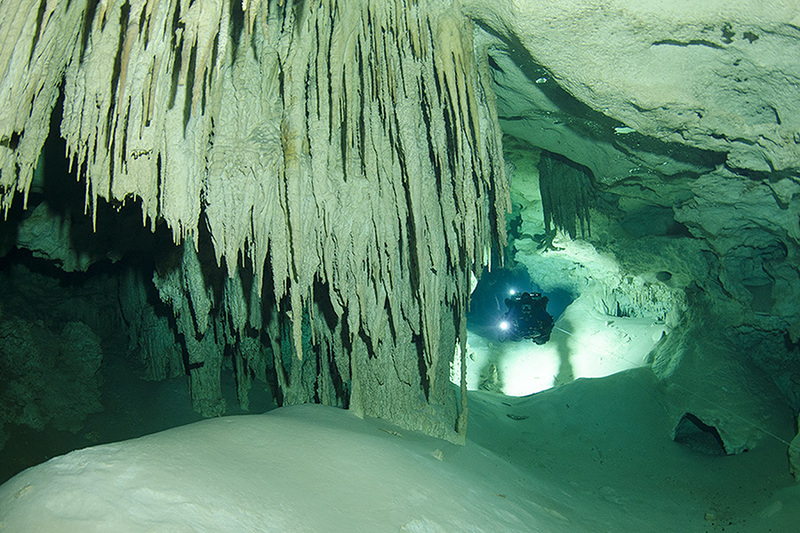 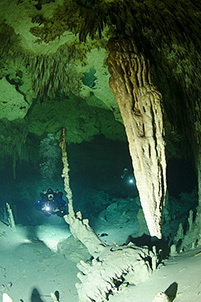 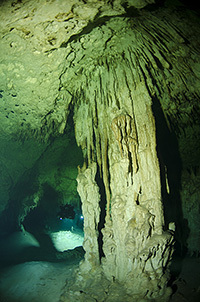 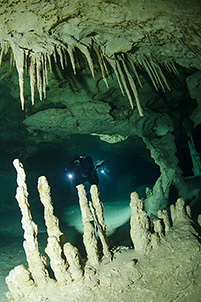 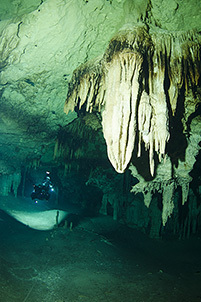 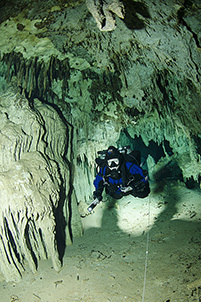 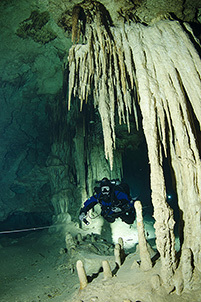 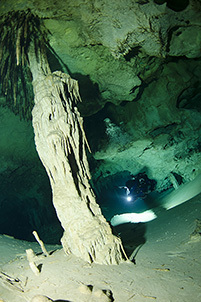 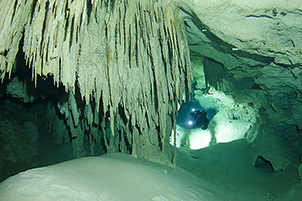 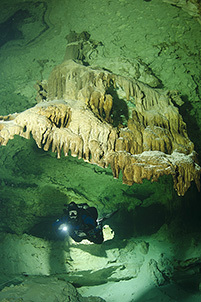 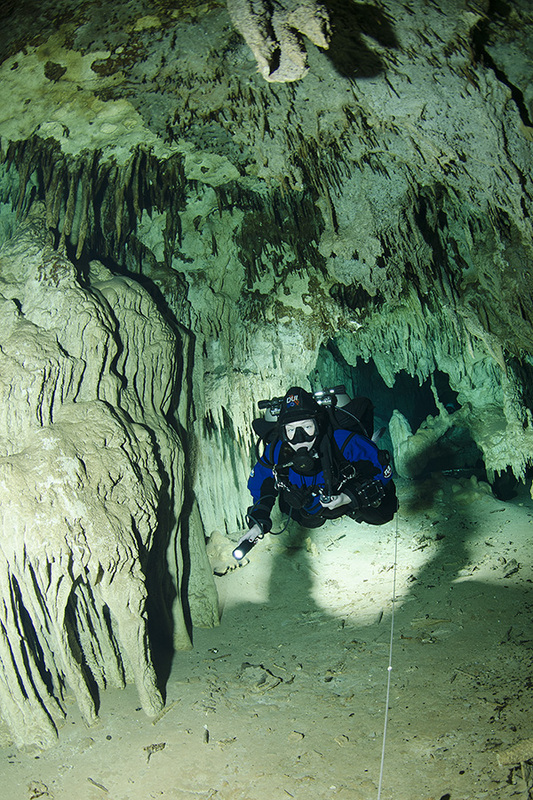 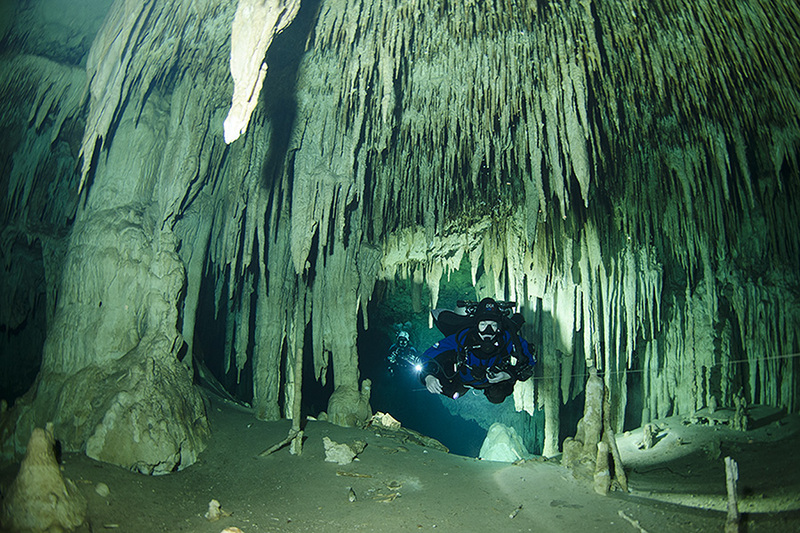 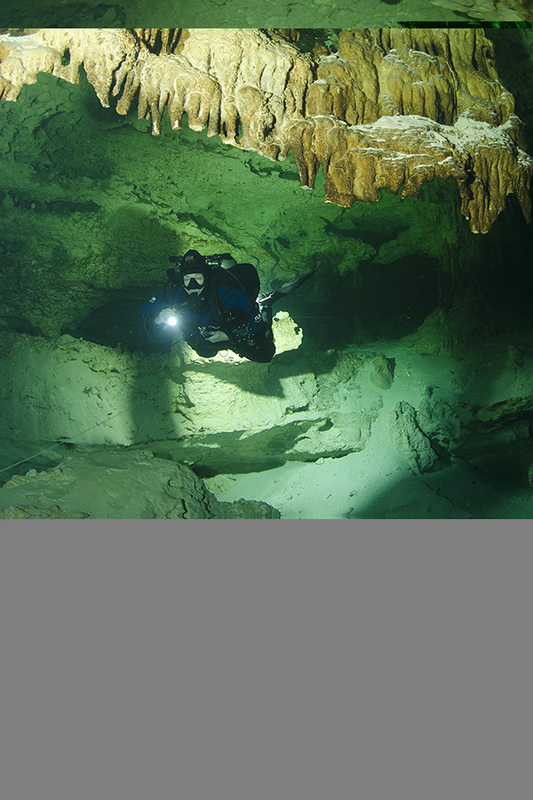 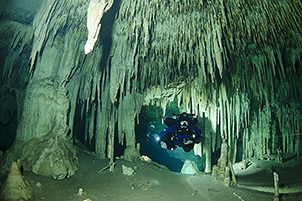 Highly decorated cave with colors varying from pretty white to tannic green. 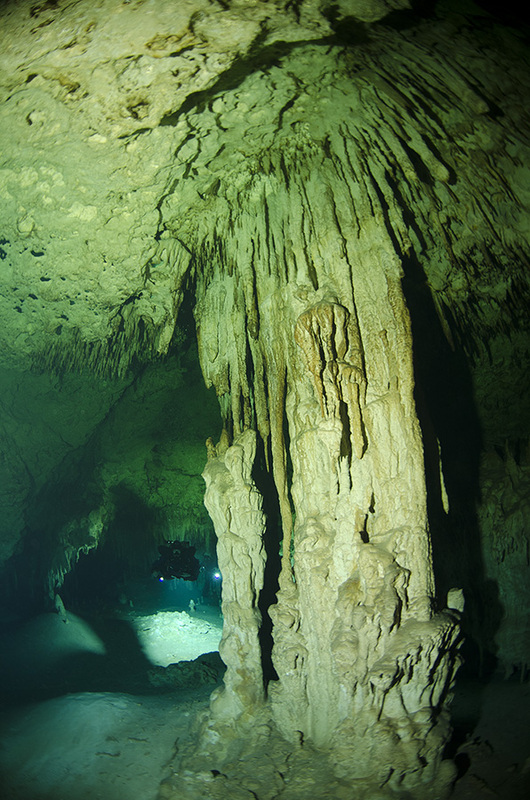 The formations in the tannic green water were incredible - definitely my favorite part of that cave.